It’s been five years since Neil Murray’s last album (the highly rated “Bring Thunder and Rain”) and now finally on offer is the new 13 track album “Blood & Longing.” Excluding numerous compilations and the Warumpi Band trilogy, “Blood & Longing” is his 9th original solo album. “Blood & Longing” was recorded and mixed in west Brunswick by Roger Bergodaz, who also handled drum duties. Other instrumental contributors include Steve Teakle, Jim Moginie, Steve Hadley, Damien Neil, Jack Howard and Eamon McNelis. 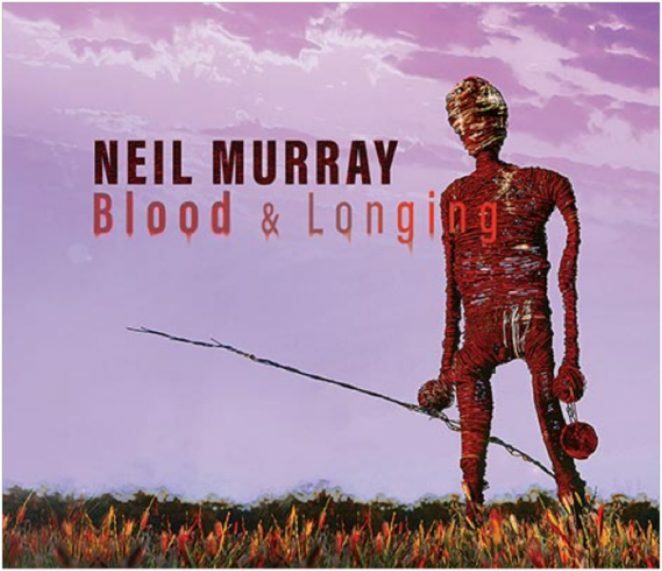 Those who know and appreciate Neil Murray’s work will find in“Blood & Longing” an impressive addition to his already remarkable catalogue of songs that continue to refine a sense of place, purpose and identity. Those that don’t, stand to be converted. We caught up with Neil to chat about the creation of the Blood & Longing album. Over what period of time were these songs written? Four years or so more or less, since my last album was released in 2014. Would you say there’s an overriding theme connecting these songs? Not in a deliberate way but the astute or literary minded could identify themes that recur in many of the tracks. If anything, the album title unites them. Have your songs generally been written on the road or at home once you’ve returned from a tour? Is the road conducive to writing for you? Not necessarily, they can come anytime, anywhere. Having said that, I have written a lot of road songs. So that’s a direct result of the touring experience. There are a couple of songs on this album that were written on the road. Travelling can be both stimulating and tedious- ideas can come- but I’ll often develop them at home. Tell us about some of the other musicians involved in the recording? Roger Bergodaz played drums and did all the recording and mixing- And if you’re wondering -yes, he played the drums while tracking- with the kit set up beside the console. Roger also played bass on “Cry My Darling”. Steve Hadley handled bass on all other tracks. Steve had played on my previous album. He should be well known to your readers. Jack Howard and Eamon McNelis provided some horns for “Byjantic Man”*. Damien Neil- who accompanies me regularly for live gigs – contributed some guitar, mandolin and fiddle. Then of course, Jim Moginie- who has played on virtually all my albums and produced a couple of them- contributed wonderful keys on “Cry My Darling” and music box sounds on “Byjantic Man” I can always count on him to contribute something special- especially if I’m stumped with what to do on a track. Why did you title the album Blood and Longing? It rang true to me. It encompassed how I felt about the songs. What they spoke of. What I’d felt in this country. The spirit in the land, the sense of the old people, their lives, the countless generations lived and died. The footprints beneath ours. Identity and loss. The longing to know them, those that are gone, the yearning to know what they knew. The fact of blood, the fact of heredity, of ancestry. Which is stronger- the blood or the longing? Yet we all bleed red. Are they separate or interdependent? The longing, the love is just as real and as powerful as the blood. It exists in the blood and yet it goes beyond it. Is there a song on the album which is closer to your heart than others? How did the instrumental track Old Land come about and were you thinking about lyrics for it at any point? It was a riff I got onto while playing the Gretsch through a Roland space echo. At no stage did I consider lyrics. It seemed complete the way it was. In the digital age is the track order of your albums still important? Is it something you spend a lot of time thinking about? Call me old school, but an album to me is like a book, you read it from start to finish. Therefore, the sequence of tracks is important. It has to make sense and take the listener on a journey. I did spend time on it, but once I had the order I never wavered. With such an extensive back catalogue, how do you approach your set list these days? That’s increasingly problematic. Depending on the line-up- either solo, duo, or trio or a full band- that has as much bearing on song selection as anything else. Invariably there are songs that I know I can deliver myself and there are ones that suit a band, and there are more obscure ones that are rarely played and there are perennials that have garnered traction that audiences like to hear. It’s always a compromise. What’s your stage rig for this tour and has it changed much over the years? Compared to most guitarists I am basic. When playing electric guitar, I use a Fender pro Junior amp- because its small and light and has a good sound up to about 2 or so on the volume dial- if you need more you can put it in the foldback. I have some Boss pedals- tuner, tremolo, Roland space echo, digital delay and an overdrive- the latter is used rarely. The space echo is the newest addition- only five years old. The tremolo I started using in the 90’s, the rest go back to the 80’s. I go through the same effects with acoustic guitar but with an A/B box I route the signal to a DI. I’ve changed guitars more than I’ve changed the basic rig. In the 80’s for a while I was running twin fenders from a TC stereo chorus- but that was in the Warumpi Band and the Rainmakers. I’ve gone from Strats, to Teles, to Firebirds to arrive at The Gretsch. Tell us about your main electric and acoustic guitars … any sentimental stories on how you acquired them? In 2007 I went into a guitar shop in LA and saw this beautiful pale green Double Anniversary Gretsch on the wall. Not only did it look good it had the sweetest tone to match. I was seduced. I haven’t looked back. It’s been an influence on my playing and writing since. At least one song- “Last Dance”- I swear was written solely by that guitar. ” Acoustic Electric” 2009 model. It’s my road guitar and it goes everywhere, subsequently it has a few dings but it still works. You would have seen a lot of changes in music scene over the years. What’s been the most notable change for you? Just the digital revolution- the advent of streaming, downloading. Digital recording, mixing and mastering – swapping files in seconds across the world. Playing on recordings remotely. Thankfully my crowd still buys CD’s as streaming wouldn’t keep a gold fish alive. What kinds of things do you experience in rural and outback areas that concern you that city folks need to know about? Everyone has access to 24/7 news so there is no excuse not to be informed. It’s the same ongoing struggle between those with an instinct to care and protect the environment against those who seek to exploit it by any means for financial gain. The flash points are many and varied- the Adani Coal mine proposal, the rampant theft of water by irrigators in the upper Murray Darling, the destruction of 800-year-old sacred redgums by Vic Roads in western Victoria, the ever-present threat of CSG mining- to name but a handful. What do you hope people get out of listening to your new album? That they first hear something they haven’t heard before, then they hear it in a way that seems vaguely familiar then it strikes a chord in such a way that it awakens a feeling in them that they knew it anyway and were just waiting for it to be uncovered. What are you most proud of in your music career? I approach the concept of pride with trepidation. The assumed virtue of pride is dubious, for it can easily become sinful. I prefer gratitude. I’m grateful to the people who found something in my songs enough for me to make a modest living. I’m grateful for the blessing bestowed by an Aboriginal man in the Gulf Country who told me that if it wasn’t for my music he wouldn’t be alive. * A feature of the album’s artwork and title to one of two singles is “Byjantic man”. The track was inspired by a sculpture of hand-forged iron bolts and wire by the artist Trevor Flinn. The sculpture was made and remains on Peter Redfearn’s farm near Moulamein, NSW. ( The bolts were sourced from a dismantled bridge that once spanned the nearby Byjantic creek). 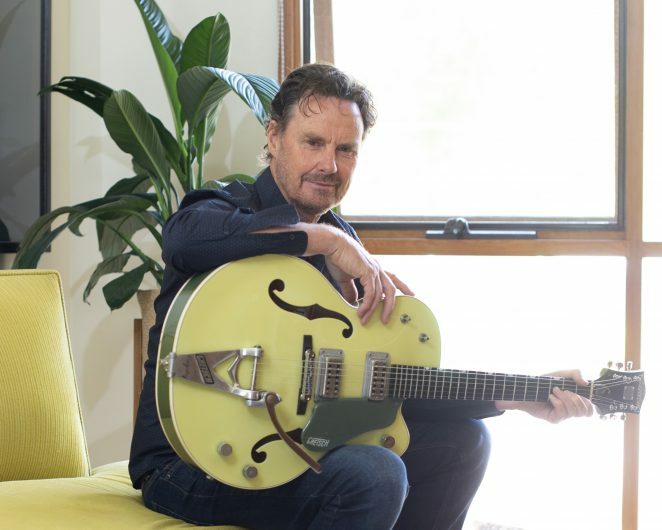 Neil Murray met the “Man” in 2016 when he was performing at the Old Nyang West woolshed on Peter Redfearn’s property. March 30, Caravan Club,(with band),- album launch, Sarah Carroll support. April 11, The Milk Factory, Brisbane- album launch, Jeunae Rogers support.